I do not know if there are many MSX users who like to write programs in Turbo Pascal. So I would like to try to start a Q&A thread to see if there are any In this thread we could help each other in solving some challenges we may face. Very good! Count on me, I was born as a Pascal programmer. 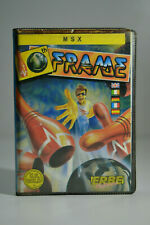 You can all find them on the MSX page from Hans Otten. Along with some other very good libraries. 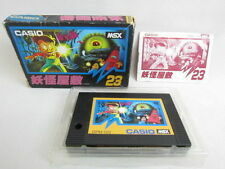 Yeah, it should be great to have the same for MSX-C :) . However I've already contacted with BiFi (author from ASM driver) and I hope to have a working driver for MSX-C in next weeks with his help. With this kind of stuff it should be great that more people gives a try to Pascal / C.
When I look at conio.pas I see that you can initialise a scene in 32 x 24 and 40 x 40. Perhaps that is because the library is only MSX1? I (and with me perhaps other people) also like to use 80x24. I don't see that in conio yet. Is it in another library? I think that this code works for both 40 or 80x24. In fact this piece of code was written in 1995 when I worked on earlier versions of the MSXDUMP disk tool and this tool works with 40 column only. I really don't remember if I tested with 80x24 but I think that it works. This should change the text mode to 80x24. Please try it and send me the news.